Homelessness is a huge problem in Southern California. I would know—I nearly went homeless there myself when I was younger. Now there is a growing housing crisis with swiftly rising demand and even less supply to go around. 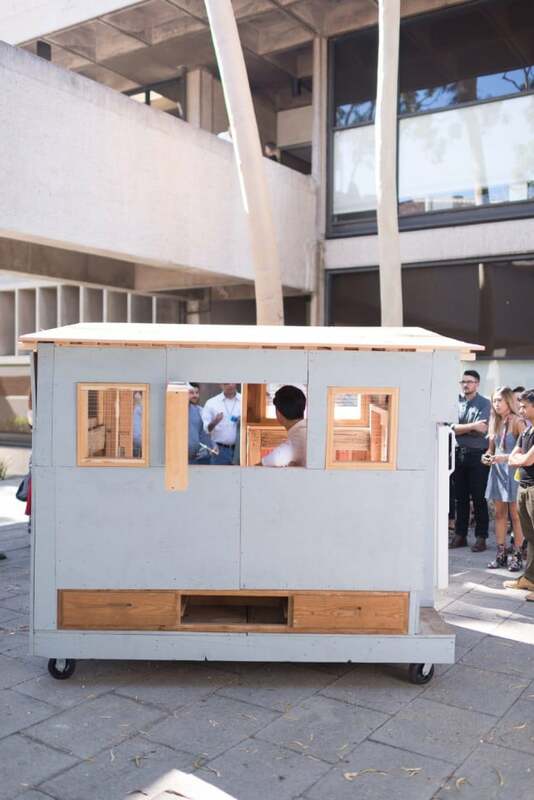 To try and combat the problem, students at the School of Architecture at the University of Southern California have embarked on a project called Homeless Studio. 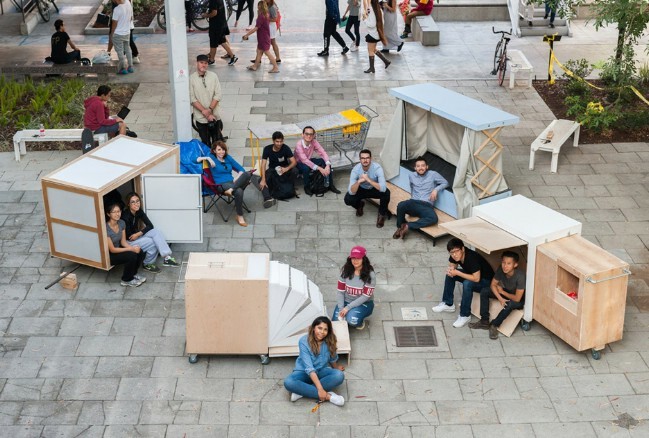 As part of their class work, they have designed a range of different shelters which could feasibly help provide temporary housing for homeless L.A. residents. The projects have taken many different forms. 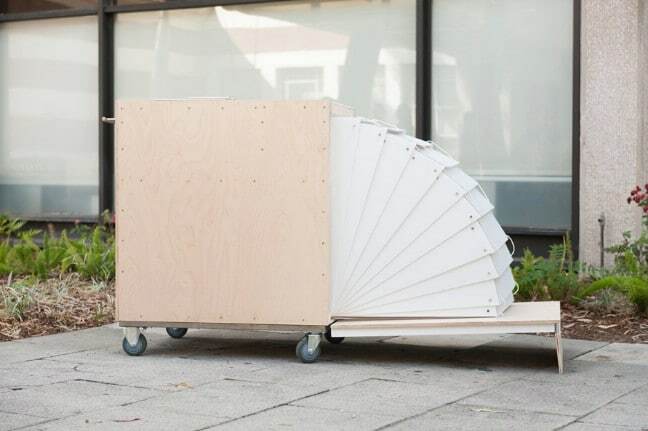 Here for example we see a clever cart with a section that can be expanded or collapsed. When collapsed, the shelter can be wheeled around as a small cube. 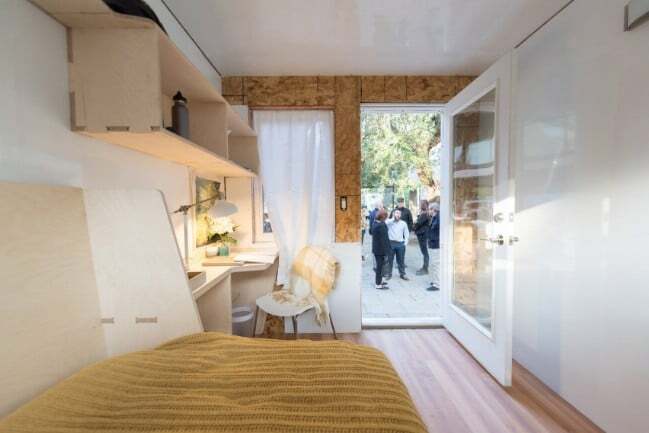 When expanded, it provides extra length to the structure so that there is room for sleeping. One of the rules for the project was that the students only use materials which homeless people would likely be able to find on their own. 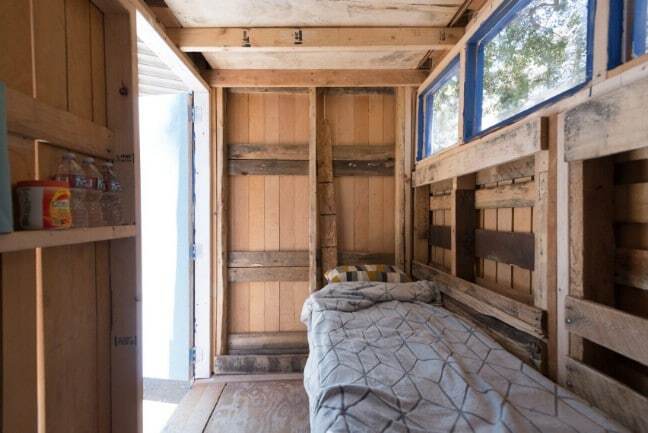 One of the structures designed for the project was a full-size tiny house with a rustic look. Another had a more contemporary design. … Wow. You sure wouldn’t expect such an astonishingly beautiful interior, would you? Somehow it looks more spacious on the inside than it does on the outside as well, perhaps as a result of the light colors which were used. You might be wondering if this is all hypothetical. Actually, there is a chance these prototypes will be developed into real-world solutions. 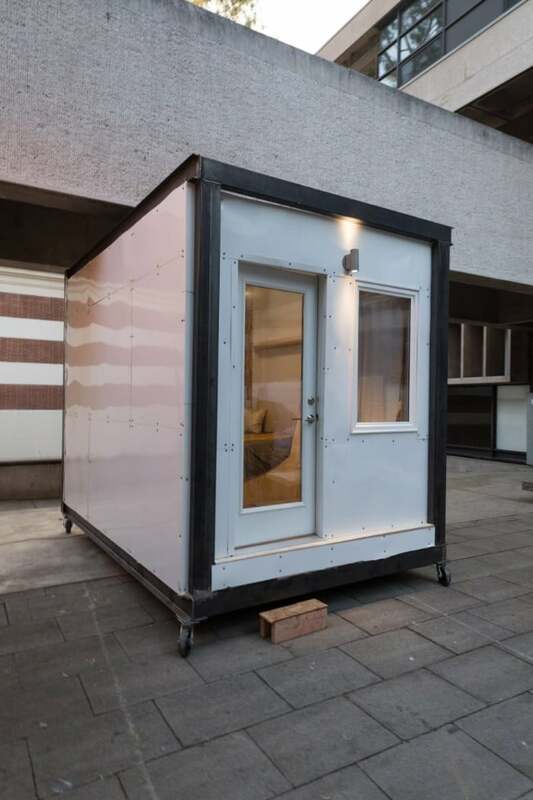 The city has actually approved a project for a set of modular dwellings to be designed by the students. Let’s hope that this impressive team of students get a chance to turn their homeless housing solutions into realities. Learn more by visiting Dezeen.